Every computer sold on the market is a collection of components — drives, RAM, processors, etc. Computer manufacturers build what they think most people want to buy. 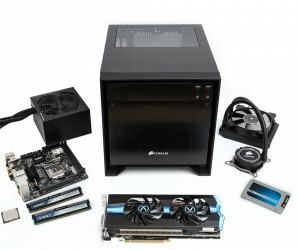 If your computer didn’t come with the components you need to do what you want it to do, we offer custom PC builds. Located in Greenville, we make custom computers for your needs. But what if you’re not like the majority of the people in the computer market? If you need something you can’t buy off the shelf, we’ll build you a custom PC to meet your exact requirements — whether that’s more video card capability, a more powerful processor, additional fans for improved airflow, or other solutions. We Make Your Custom Computer to Meet Your Exact Needs. Tell us what you want out of your computer, and we’ll build you exactly what you need in order to make it happen.